Age 62 of Chesaning passed away on Tuesday, March 19, 2019 at his home. A Mass of Christian Burial will be held at 11:00am on Saturday, March 23, 2019 at St. Michael Catholic Church of Maple Grove with Father John Cotter officiating. Burial will follow at St. Michael's Cemetery. The family will receive friends at Nelson-House Funeral Homes Martin Chapel, Chesaning on Friday, March 22 from 2:00 to 8:00pm with a Rosary prayed at 7:00pm. Visitation will also be held at the church on Saturday from 10:00am until the Mass. 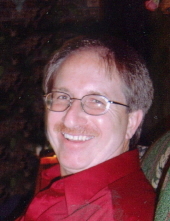 Tim was born on December 27, 1956 to Harold J. and Rose Mary (Newman) Henige in Saginaw. He graduated from New Lothrop High School in 1975 and completed 2 years of college. He worked for General Motors in Delta Township for 35 years before retiring. Tim married the love of his life, Susanne Gasper on May 2, 1981; they celebrated 37 years of marriage last May. Tim was a loving husband, father to 2 children, and grandfather to 3 wonderful boys, Blake, Carson, and Maverick. He loved spending time with his family more than anything. Tim was a fun and easy-going person all his life. He enjoyed camping with his friends, bonfires, side-by-side rides with his grandkids, and keeping his yard meticulous. Tim regularly volunteered with Meals on Wheels, and he was a very involved member of the Knights of Columbus and also of St. Michael Catholic Church of Maple Grove. Tim is survived by his wife, Sue Henige; his children, Alicia (Joshua) Morgan and Jason (Emily) Henige; his grandsons, Blake, Carson, and Maverick Morgan; his brothers, James Henige, Dennis (Stephanie) Henige, and Gregory (Michelle) Henige; his sisters, Imelda (James) Flint, Janice (Robert) Brines, Grace (Mark) Stoll, Patricia (David) Bradt, and Carol (Jerry) Robinson; his sister-in-law, Diane Henige; as well as many nieces, nephews, and other loving family and friends. He is predeceased by his parents; his brothers, Victor and Gerry Henige, and his sister-in-law, Vickie Henige. Memorial contributions are suggested to the Family's Wishes. To send flowers or a remembrance gift to the family of Timothy G. Henige, please visit our Tribute Store. "Email Address" would like to share the life celebration of Timothy G. Henige. Click on the "link" to go to share a favorite memory or leave a condolence message for the family.